The Plitvice Lakes National Park encloses 16 lakes. He is the greatest and oldest National Park of Croatia. You can get there either from Zagreb or from the Adriatic coast along D-1 motorway. Use the mouse and the +/- buttons on the left to navigate within the map of Plitvice Lakes National Park. This article needs your support to be finished. 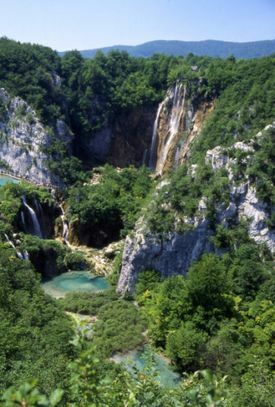 If you know more about Plitvice Lakes National Park please add your knowledge to this article. On this page you can find more information of how you can contribute to this wiki.